Great managers are immortalised by their ethos and impact. The Croatian, Tomislav Ivić, was a master strategist who is credited with developing the modern style of the game, and with having won eight league titles in six different countries. Due to the unique combination of both his success and lack of recognition, he can lay claim to being the greatest manager you’ve never heard of. Ivić was born in Split, in the Kingdom of Yugoslavia in 1933, one year before King Peter I was assassinated by Bulgarian revolutionary Vlado Chernozemski. He began playing youth football with the local team RNK Split, the Worker’s Football Club, which had become renowned after 120 of its players died fighting for Josip Broz Tito’s Partisans against the Axis Forces in World War II. By the time Ivić broke into the first team in 1953, Yugoslavia was a Socialist Federal Republic under Tito and would remain so until 1992. Ivić played 125 times for RNK before moving across town to Hajduk Split in 1957. He retired six years later and then embarked on one of the most brilliant careers in management. Perhaps, coming from the former Yugoslavia, that comprised what are now six different countries, formed Ivić’s natural eclecticism and ability to adapt to different cultures. Although Ivić was a nomad who plied his trade in nearly 30 different jobs, spanning 14 different countries from Italy to Iran, and including four national sides, it was in the former Yugoslavia that he first learned his craft. He began coaching RNK in 1967 before moving on to Hajduk’s youth team. His first trophy came when he won the Yugoslav Prva Liga with Hajduk’s senior team in 1974. They defended the title the following season. 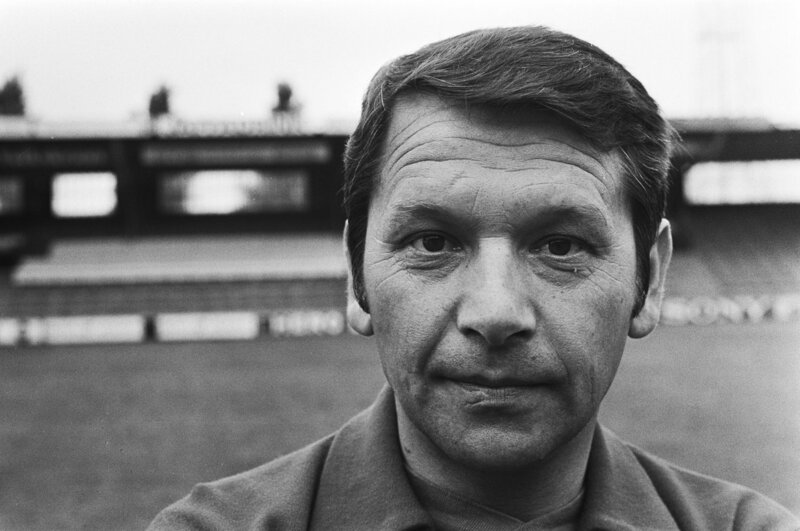 Two years later Tomislav Ivić succeeded Rinus Michels at Ajax. His result-orientated 5-3-2 formation brought him the 1977 Eredivisie, the first of his foreign championships, before he won another Yugoslavian title in 1979 on his return to Hajduk. The 1980s would prove to be Tomislav Ivić’s defining decade despite his habit of flitting from club to club. His stay at Anderlecht, for three years between 1980 and 1983, was his longest ever managerial tenure. While still a youth coach learning his craft, Ivić and his wife had taken trips to Belgium to study players such as Rob Rensenbrink, Ludo Coeck and Franky Vercauteren. His journey had now come full circle, and his 1981 Belgian First Division win propelled him to Turkish giants Galatasaray; then to Dinamo Zagreb; and then to Avellino in the following three years before he moved to Panathinaikos for a 5 month stay. His greatest feat came when he took over European champions FC Porto for the 1987-88 season. There, he won the European Super Cup, the Intercontinental Cup, the Primeira Liga and the Taça de Portugal to complete the league and cup double, and become the first manager to win four trophies in one season with one club. A measure of this accomplishment is that this record stood until it was matched by André Villas-Boas 23 years later. Ivić’s last title was the 1992 Ligue 1 title with Olympique Marseille, the year the Socialist Federal Republic of Yugoslavia was dissolved. He went on to manage twelve more clubs, including a return to Porto; and stops in Marseille; in Belgium with Standard Liege; as well as in Iran and United Arab Emirates, before, in 2004, calling time on one of the most colourful careers in football. He passed away seven years later in 2011 in Split. The wanderer had returned to his hometown, and his journey ended where it had begun nearly five decades earlier. 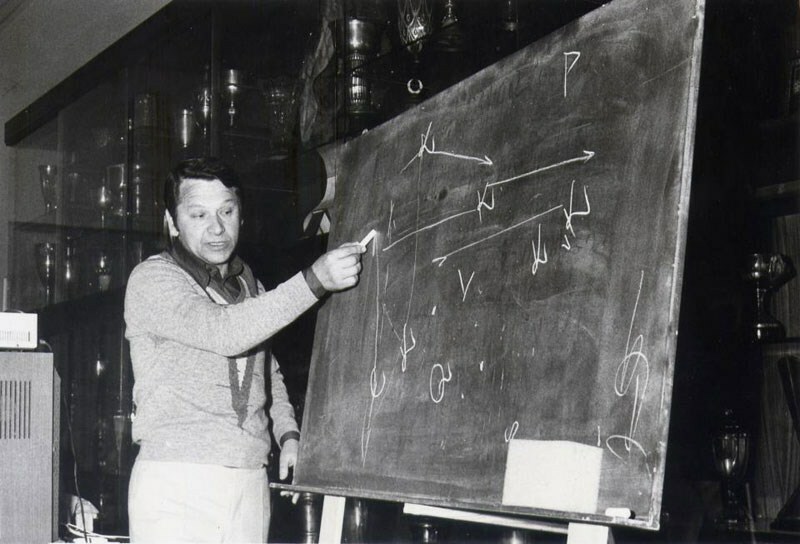 At each post that he took on, the scrupulous Croatian instilled his high work ethic and used his boundless football knowledge. His quirks were what made him both iconic and incomparable. He had a strange habit of writing down everything he knew, and could be often seen in the dugout, arms outstretched, with a pen stuck to his hand like a cigar. He was also a thorough trainer and a meticulous director of men. But Ivić had his detractors. His extreme defense tactics were scorned by Luis Aragonés when he was at Atlético Madrid. Other critics have noted that Ivić made a habit of arriving at a club that was on the crest of a wave of success—a club that had good players and a sound financial structure—before moving on. His critics claim that this approach inflated his record. His record looks somewhat distorted if you take into account his data as an international manager. He twice took charge of his national side but was part of Yugoslavia’s coaching consortium for the 1974 World Cup and his 100% win ratio as manager of Croatia is the result of just one win from one game. On the other hand, it can be argued that Ivić helped clubs to go on to better things. 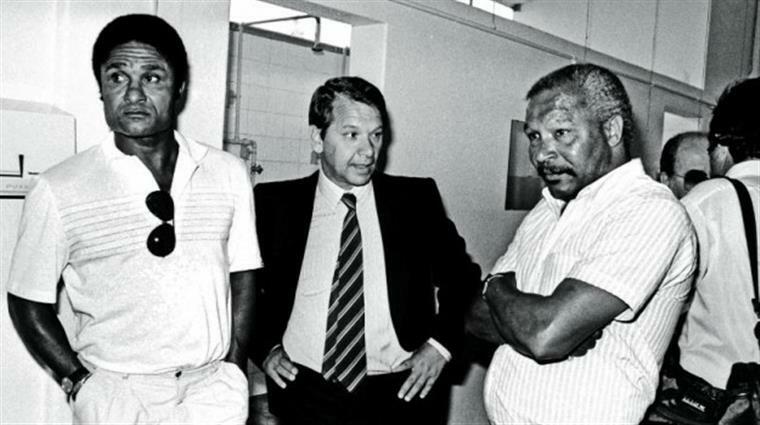 He gave Marseille automatic qualification to the 1992-93 Champions League, which they won. He also restored success to a faltering Ajax after the departure of major stars. Furthermore, he had the courage to take on posts that had been left by seasoned managers, such as Gerard Houllier at Paris Saint-Germain, Sven-Goran Eirkson at Benfica and Arsène Wenger at AS Monaco. Other coaches may not have attempted to fill such shoes. There were even those who claimed that Hajduk Split, with whom he enjoyed a love affair throughout his career, underachieved with Ivić at the helm. Ivić would later concede that a football club sometimes requires more than just the manager’s input. “Like any other club, Hajduk needed logistics, expertise and players. In all three, Hajduk had outgrown Yugoslavia, but not Europe. To be the European champion, you need to be perfect in all three,” he said. Ivić was undoubtedly a man who possessed pioneering vision. He drilled into his players detailed football knowledge and enforced demanding training routines to mould relentless, organised teams. They, as well as he, thrived on hard work and determination. Ivić transcended borders and cultures to bring success time and again, and did more than any other manager to introduce to the world a truly socialist style of football.